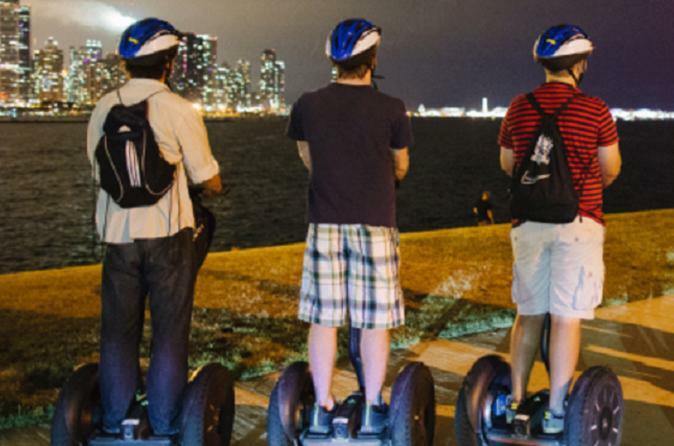 Instead of walking, explore Charlotte's darker side by Segway. Glide through Charlotte and enjoy Charlotte's Uptown ghosts and cover approximately 3-5 miles, which lasts about 90 minutes. Every city has a haunted history about it, so come hear the tails of Charlotte haunted history. This guided tour has a maximum of 10 travelers per group. After arriving to the meeting point located at the Bank of America Plaza in the Overstreet Mall for the safety video, sizing helmets and performing individual training exercises on the Segways to make sure you are comfortable with the controls. You will then hit the street as a group and explore Uptown Charlotte's breathtaking scenery while cruising along the streets covering the haunted stories and points of interests of Uptown Charlotte. You will then glide along the Historic 4th Ward neighborhood (1st residential neighborhood in Charlotte) covering the oldest stories in the city. While reviewing about six stories that are still alive and talked about today, you will be able to take pictures and ask questions along the way. This tour will leave you stunned and mystical. You will wrap up the tour from the start location while your tour guide will end the tour asking for any additional questions.